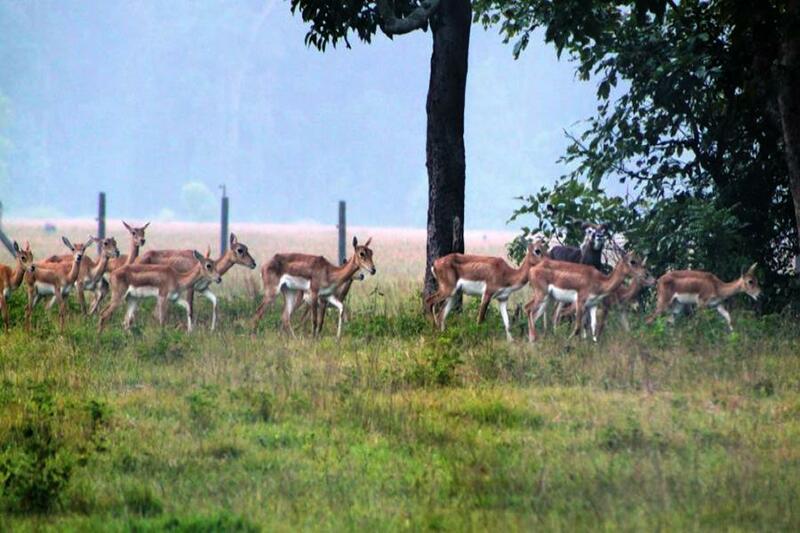 KANCHANPUR, April 14 : The number of protected blackbuck (Antelope cervicapra), locally known as Krishnasar, in the Shuklaphanta National Park is increasing each year with its number counted 82 at present, which is 22 more than the previous record. According to Park’s eastern sector Arjuni’s assistant conservation officer Shailendra Chaudhary, this year, the number of mature males have reached 24, and females 27, of which four semi-adult males and four semi-adult females, and the number of calves (one week to five months) is 31. In 2016, the counts were 45 including mature males, females and calves followed by 60 in 2017. In 2069 BS, eight males and 14 females from Nepalgunj and three males, two females and one baby blackbuck from elsewhere had been transported to put at Hirapur of Shuklaphanta. Four artificial ponds and two shelter homes have been constructed for the animals and adequate preventive measures have been taken to keep them safe from carnivores and other animals. Much focus has been laid on the nutrition of the animals, Chaudhary said. They are being given nutritional supplements as well. As herbivores, the animals inhibit grassy lands and feed upon grains, fruits, flowers, herbs, shrubs, pods as well as grasses. This mammal is protected under the National Park and Wildlife Protection Act- 1973. The animal of the sole extant antelope species is mostly (over 300 in number) found in Khairapur of Bardiya. It has been protected at Nepalgunj, Mrigasthali of Kathmandu and Hirapur Phanta of Shuklaphanta. The color of the animal differs as per the gender: The female is marked by brown color at upper parts and white at lower while the male is characterized by dark brown at upper parts and while lower parts are white. Blackbuck’s gestation is typically six months long and the lifespan is 10-15 years.